I really love keeping a few e-books on my android tablet for a quick read on the train or my free time commuting. Don't you think it can be a good way to pass some time, learn something new and save some trees. The android apps market is full of high end apps. Users often struggle to select one amongst the numerous options available. But if you are looking for cheap sims than please visit credible websites. When it comes to eBook readers, you really need to use the right app or your reading experience will be poor. I prefer to keep a few reader apps on my tablet based on variety collection and reading features. Almost every reader app on android has its own market store with collection of free and paid books. We are trying to gather some of the best options available for you. Listed below are some of the best eBook reader apps for android devices. The Google Books App is an eBook reader for android devices. It has a vibrant, crisp and neat screen display. The images are crystal clear and you can read either horizontally or vertically. Some other great options include viewing the book in its original format or switching to Google’s style. The excellent app has even more to offer, the share option allows you to share your thoughts about the book. You can talk to others and exchange opinions on social networking sites as well. Last but certainly not the least is the Read Aloud feature. This feature is for those who cannot read properly, and just like listening instead. Once you engage this option, the eBook will be read out to you. 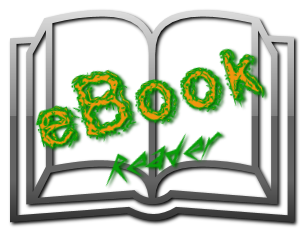 The FB reader is another free eBook reader that you can download from the play store. This eBook reader is fairly simple to use, it is fast and efficient and it’s no nonsense style in winning plaudits. Using this you can access a large number of eBooks. The app is simple to navigate and even novices should be able to operate it. The app is also advertisement free so you can easily concentrate on reading without any distractions. Kindle is an eBook reader app by Amazon. It is hugely popular among the masses and is a preferred choice of many users. You get a huge collection of free eBooks when you download this app. This app caters to all types of readers with its advanced features and it never seizes to amaze you. This eBook reader app even has a built-in dictionary which is a very handy tool. You can instantly access Wikipedia and Google search through this app. The Kobo eBook reader app faces tough competition from its competitors but it manages to hold its own against them. Kobo comes with 100 free eBooks and a library that has over a million eBooks available. The interface is very simple and poses no problem for the average user. The Night-mode option is very convenient as this mode turns the font white and the background page black. Clarity and readability are good on larger screens, however, not so much on smaller ones. The Nook app also has a considerable fan following. The account setup is easy and once you register yourself, you don’t have to sign in every time. Some of the ebooks are free, whereas, others cost money. Once you start reading, you will see the true quality of this app; it has a clear display with plenty of options for customization. This app is a must for inexperienced android users who are looking for a good eBook reader. Aldiko is one app that isn’t tied to any major bookstore. This means that you won’t be forced to make any unnecessary buys. Aldiko is a solid app that you can rely on. Its responsive interface and wide range of options make it a popular choice among consumers. The friendly user interface of the Mantano reader makes it an instant hit with the users. The options on offer are very similar to other apps in this category. Some extra features include sync, page turning speed and import book. This reader stacks up well against the others in a competitive market. This reader has earned positive reviews from users. People have been impressed with its clever design and easy to use functions. You can download eBooks online or transfer through SD card. It also supports a number of formats so it can run pretty much anything. The moon reader comes with a stunning user interface that is complimented by the rich features on offer. You can customize it as you see fit. Sync it between tablets and phones so that you can access your book on multiple devices. You can use the dictionary for explanations of words and their meanings. Save eBooks that you wish to read later or bookmark them to continue later. This reader is capable of reading a multitude of books. The design and use is simple. It also has the ‘listen feature’ where the book is read out to you. The cool reader functions well on android devices. It is fast and efficient. These were some of the best eBook reader apps available in the android market. By using these, you will enhance your reading experience and certainly won’t be disappointed by the decision that you make. Go ahead and try out a few of them. Don't forget to share your experience with us in comments section. Rosette is an independent android app developer and is currently associated with www.SimOnly-Deals.com. She has written articles and blogs for numerous publications over the years related to mobile phones and various applications. Could you please suggest common ebook app (for windows7.5 and android)like bluefire in which ebooks can be imported through sd card? For importing books from SD card, you can try Aldiko and Lektz. Aldiko's good, I like Kobo though, but you need to sign up with them. I use both Aldiko and Lektz reader to access eBooks through my Xperia phone. Both of them are useful, I use Lektz to access both ePub and PDF format of books.